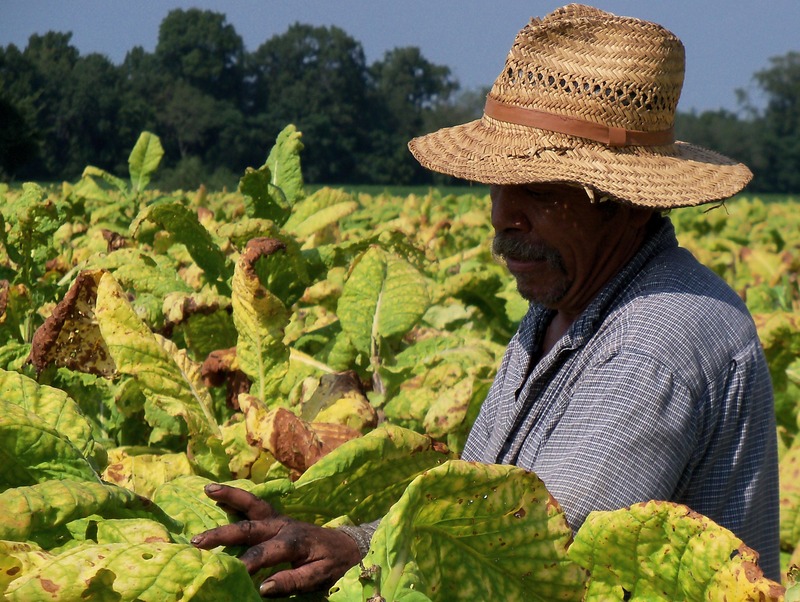 Every year, tens of thousands of migrant workers travel to North Carolina to harvest tobacco. While the contract between FLOC and the NC Growers’ Association has helped end many of the abuses in the H2A “guest-worker” program, around 90% of the workforce is made up of undocumented workers who are still denied the most basic labor rights. Many of these farmworkers continue to face slave-like hardships, such as racism, long hours of stoop labor in the fields, harassment in their work, abject poverty and debt, exposure to lethal nicotine and pesticides, poor health and limited access to health care, and denial of basic labor and human rights protections. In recent years, at least nine field workers have died in North Carolina tobacco fields, most of them due to heat stroke. After long, hot days in the fields, many tobacco farmworkers return to labor camps that are deplorable, cramped and uncomfortable, and that pose many hazards and health risks, including sleeping on bare bunks or moldy mattresses on the floor, poor ventilation, leaky roofs, hazardous wiring, poorly maintained plumbing and showers, poor ventilation, infestations of flies, mosquitoes, and other bugs, and inadequate facilities for washing clothes contaminated by pesticides and tobacco residue. In 2008, FLOC President Baldemar Velasquez spent a week working in the North Carolina tobacco fields. For an inspiring look into the daily lives of the tobacco farmworkers he worked with and the harsh realities they face in the fields, you can read his seven day journal here. In 2011, FLOC and Oxfam produced a joint study on conditions in North Carolina fields and labor camps. Over 100 farmworkers from the top 5 tobacco producing counties participated in the study.